In 1956, Frigidaire, then part of General Motors, created a “Kitchen of the Future” exhibition, featuring auto-dispensing ingredients controlled by recipes fed into IBM computers. The marble countertops hid induction heating elements rather than radiant or gas stoves. Induction ranges have been a reality since the 1970s, but only two percent of United States households have made the switch. 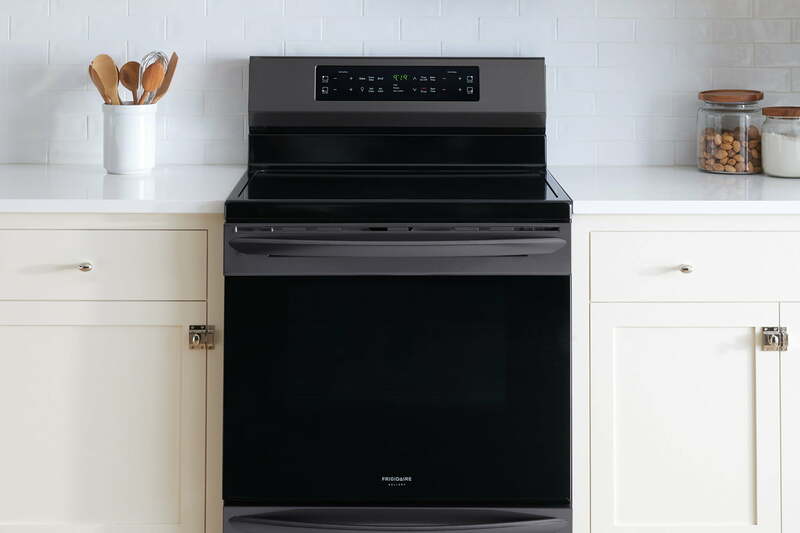 Frigidaire, now an Electrolux brand, thinks it’s found the secret to getting Americans to switch: a range that costs under $1,000 but still boils water faster than a microwave. “When you cook with induction, you realize it’s not just one thing that’s better. 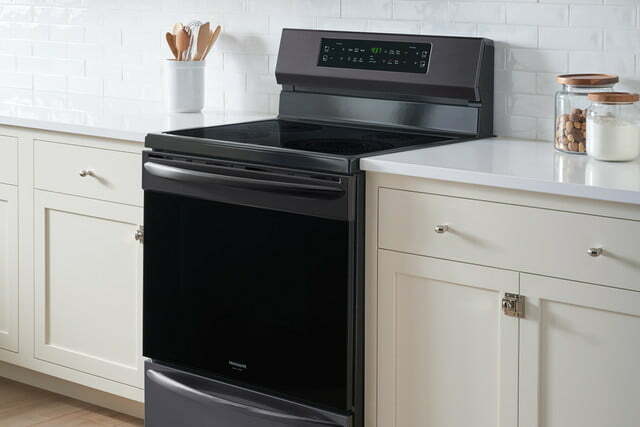 Everything is better,” Amie Guy, Electrolux’s vice president of marketing, told Digital Trends during a hands-on cooking demonstration for its new Frigidaire Gallery FGIF3036TF. The benefits include rapid boiling, less wasted energy, safer operation, and easier cleaning. 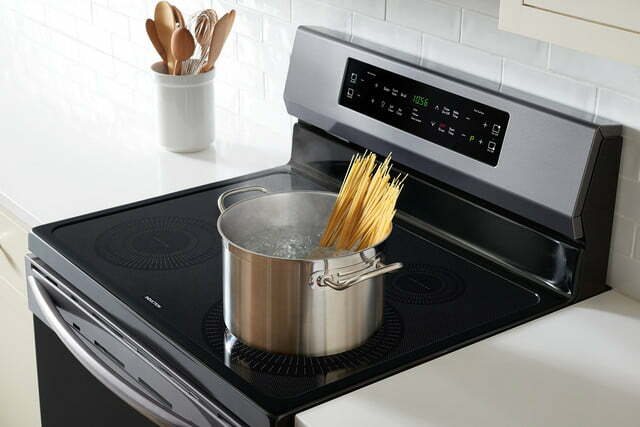 If you currently have an electric stove and your wiring hasn’t been updated since the 1980s, Guy said your kitchen should be able to handle an induction range. At $990, the Frigidaire Gallery FGIF3036TF might be inexpensive enough to convert more Americans to induction cooking. “Anytime you put any magnetic metal in an electromagnetic field with an A/C current, you get heat,” said Lee Chappell, an electrical hardware engineer at Electrolux. The current runs through the element’s copper wire, creating the electromagnetic field, while the magnetic pan provides the ferrous metal required to create heat. “We don’t generate heat and transfer the heat through the glass,” Chappell said. “The heat is actually generated in the pan.” Most copper pots and pans won’t work, and cookware requires a certain mass to trigger the stove’s detection feature. “You can’t just lay a fork on there,” he said. “We have to guarantee it doesn’t turn on with a small piece of metal for safety.” If the stovetop is turned on but doesn’t detect cookware, it will shut itself off after three minutes. Though the element is heating just the pan, there will be some warmth transferred to the cooking surface. 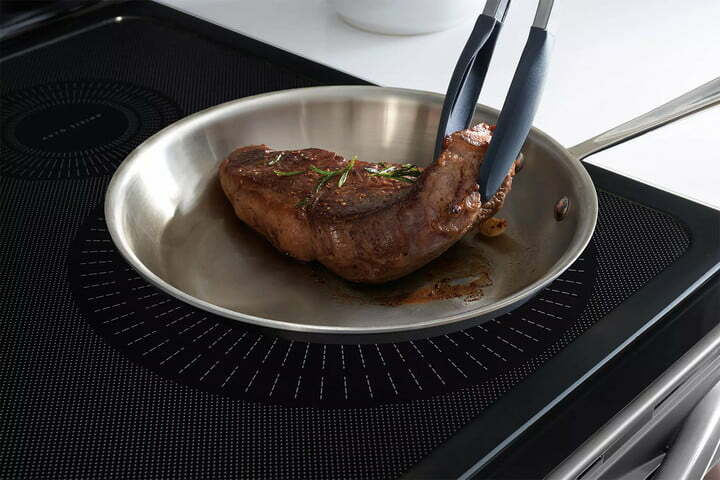 But since it’s not as hot as a typical burner, food doesn’t get cooked on, making cleanup easier. As we said, very few copper pots are induction-compatible, but if you take a magnet to your cookware, you’ll probably be surprised to find much of what you own is compatible. We tested everything in our cupboards and found our All-Clad nonstick pans, stainless steel kettle and pots, cast-iron skillet, and Le Creuset dutch oven were all magnetic. Only one of our stainless steel pans wasn’t attracted to our fridge magnet. 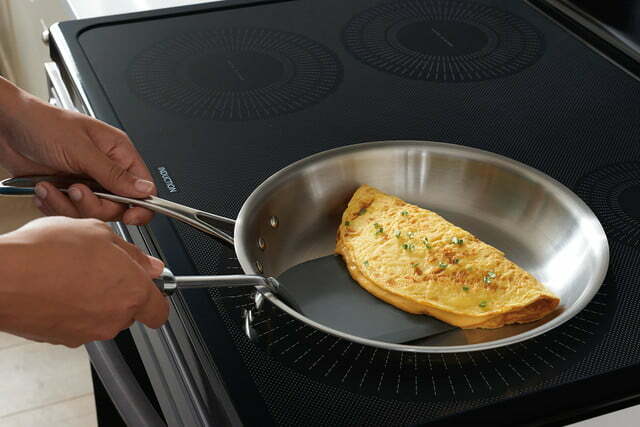 Because induction cooktops require flat-bottomed pots and pans, woks and similar cookware may not work on induction stoves. Very little energy is wasted when induction cookers heat pots, which in turn warm up their contents. By creating heat in the cookware, it’s not spending time making a burner hot before it can transfer that heat to the pan. Skipping that middleman surface translates to faster cooking. They say a watched pot never boils, but we poured one 16.9-ounce bottle of water into a tea kettle, and the Frigidaire induction burner had it whistling in about a minute and a half. The gas burner took around four minutes, while our own radiant stove took 30 seconds longer. We typically heat up a mug of water in the microwave for two minutes to make tea, so the induction range was even quicker than that. There’s a reason smart cooktops such as the FirstBuild Paragon, Hestan Cue, and Buzzfeed Tasty One Top all use induction. Induction holds temperature really well, which is crucial to the kind of “precision cooking” these products promise. Using a temperature sensor that communicates with the cooker, induction can make adjustments to ensure your food doesn’t burn. We left a cheese roux on the keep-warm setting and it stayed scorch-free, even without stirring. 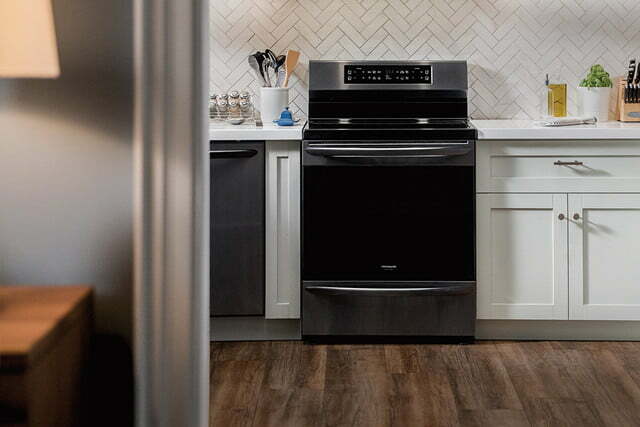 The Frigidaire range isn’t smart, but it will also stay at its assigned temperature. To demonstrate this, Electrolux’s engineering manager Steve Swayne made some pancakes. 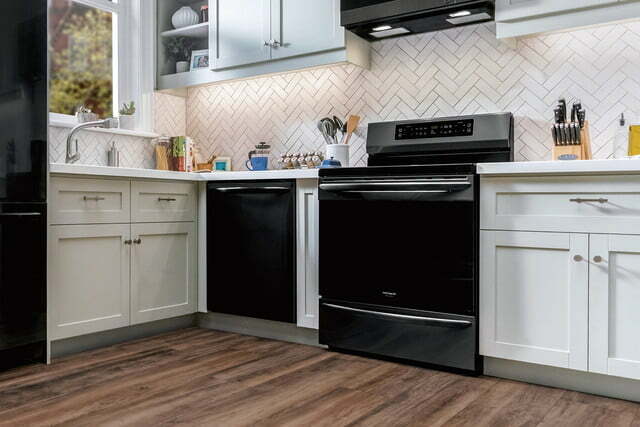 A former restaurateur and chef, Swayne now helps develop the company’s cooking appliances. Before adding batter to two pans — one on an induction range and the other on an electric — Swayne waited about 13 minutes with the stoves on. When he added the cooking spray and pancake mix, the electric range’s pan smoked and blackened the batter. The induction range delivered a brown pancake. “You don’t have to throw that first one out,” Guy said. There are some features available in Europe that haven’t yet made it over to the smaller U.S. induction market. 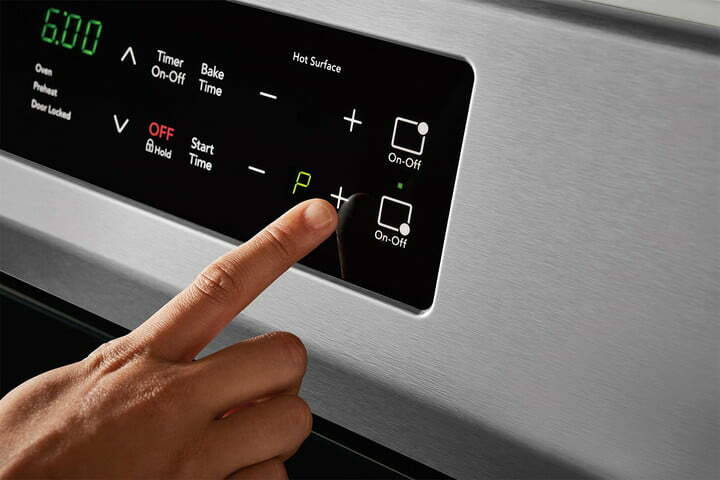 Chef Mode uses presets, such as high, medium, and low, to let owners slide cookware to different quadrants and change the temperature without touching controls. Using presets can make people better cooks, Swayne said. They wouldn’t necessarily have to know that melt is a lower temperature than keep warm or what number to set the stove to for simmering. Guy calls induction “the greatest technology that no one is using.” If you live in the U.S. and have never seen it in action, it’s likely because “almost 80 percent of cooking products sold [here] are under $1,000,” she said. Before this Frigidaire model, the ranges started at $1,500, and most were closer to $2,000 or above. Those who already have induction in their homes are “either wealthy, or they know about it and they’re passionate about it, and they have to have it,” Swayne said. In the range’s quick-start guide, there’s a small section with suggests cooking levels for melting chocolate, simmering spaghetti sauce, and searing steak. Considering how new the technology is to many Americans, it would be nice if this section were more robust. We can picture people being unprepared for how quickly their pans will heat up. In 2007, the number of people who owned induction-cooking appliances in Europe were similar to what the U.S.’s are now. Electrolux and other manufacturers brought down the cost there, and now roughly half the homes use induction, Guy said. 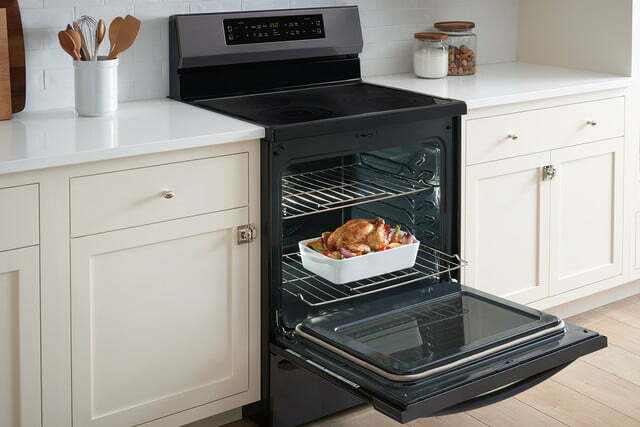 As of 2015, about 74.4 million homes in the U.S. were cooking with electric stoves or ovens, compared to about 39.9 million using gas, according to the U.S. Energy Information Administration. Guy thinks once people start seeing induction in their friends’ and neighbors’ homes, the once futuristic kitchen technology will go mainstream.